This post may include compensated links – read more info in my disclaimer and disclosure. Most of the taxi-cabs in the town display signs offering various Mui Ne tours of local attractions. We didn’t want to rent a scooter as the roads didn’t feel that safe and a bit of air-con is never a bad thing so we booked up a four-hour tour for $30. 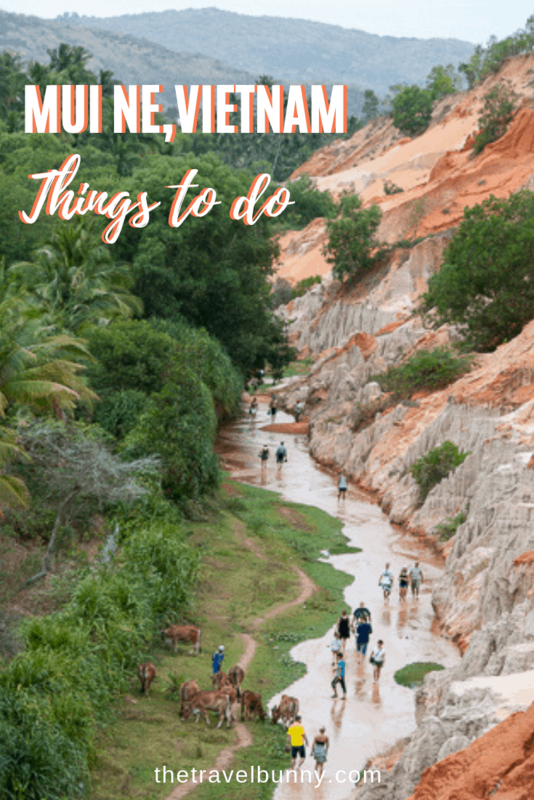 We were picked up from our hotel in Mui Ne and set off to check out some of the area’s highlights. Tuan, our driver, was great and although he spoke no English and we spoke no Vietnamese we got on fine. He even gave us Vietnamese sweeties on the journey! 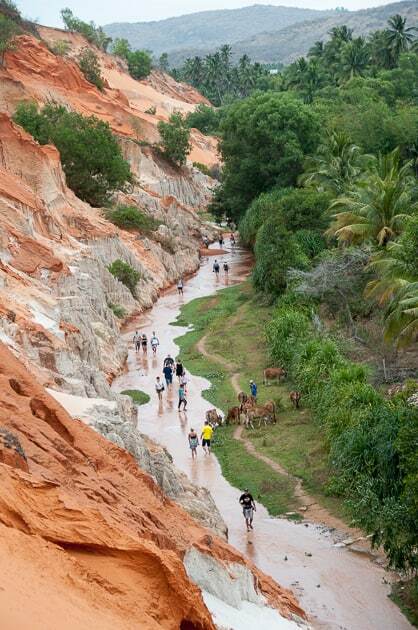 The most popular Mui Ne attractiion is about 25 kilometres north-east of the town. 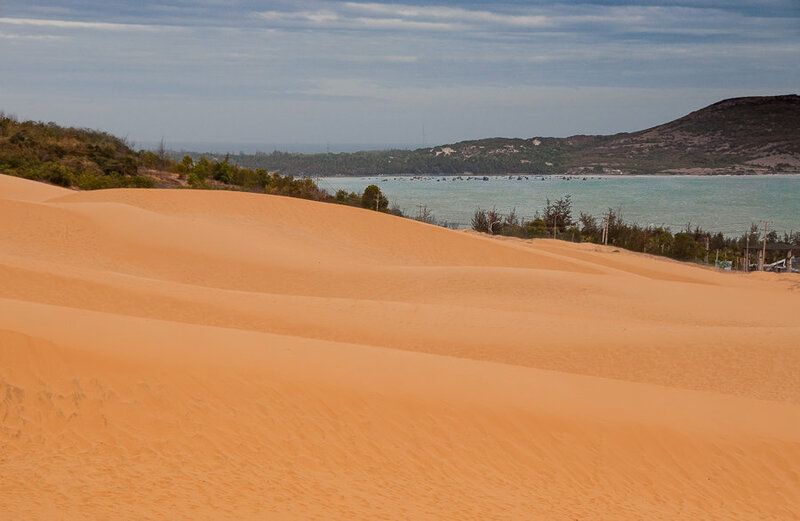 The Mui Ne sand dunes – who knew there were sand dunes in Vietnam! The white sand dunes aren’t strictly snow white but they are whiter than your average sand dune. The appeal is that they dip right down to a lotus lake surrounded by greenery which is a beautiful contrast. 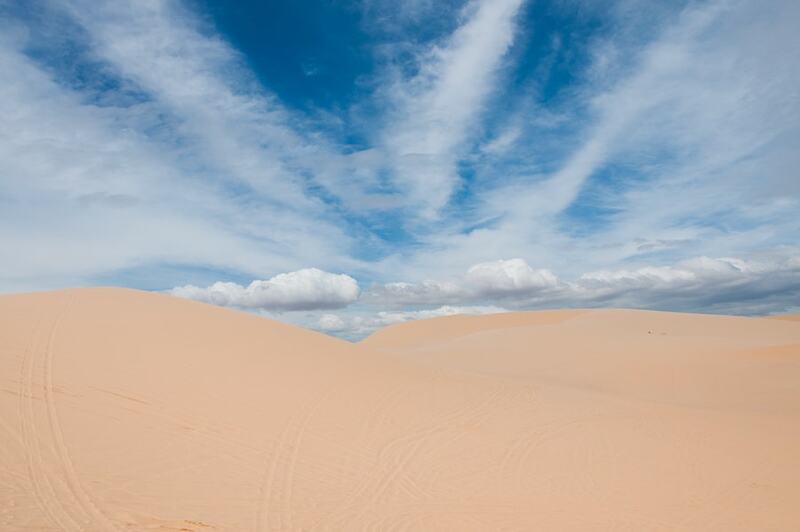 The red sand dunes are about 20 minutes drive from the town. As soon as we reached the top a bunch of kids ran over to ply us with plastic surf mats but I was more than happy to stay upright that day. The sand was a lot coarser than the white dunes and squeaked as we trudged our way to the top. Although the red dunes aren’t as impressive as the white dunes there are some wonderful views out to the ocean. I’m guessing the sunsets here are spectacular. There’s no charge to visit the Red Dunes. Our third stop was at Mui Ne fishing village. We pulled up by the busy main road and Tuan even stopped the traffic for us to cross! There’s a steep concrete slope with steps set into it which lead down to the sea and a small beach filled with piles of empty scallop shells. The night’s catch is landed early each morning and sorted right there on the beach. Views of the brightly coloured boats stretch out across the water and you can see locals sitting in them mending their nets and gear. There were lots of small round basket boats that you see all over Vietnam including some of the original boats woven from bamboo. Nowadays the majority are made from coloured fibre-glass. 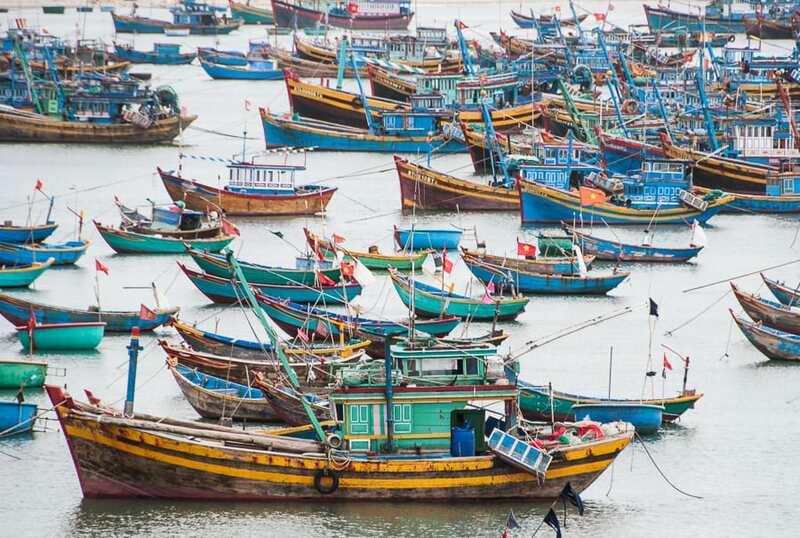 Fishing is one of the main industries here and the seafood in Mui Ne is impressive. 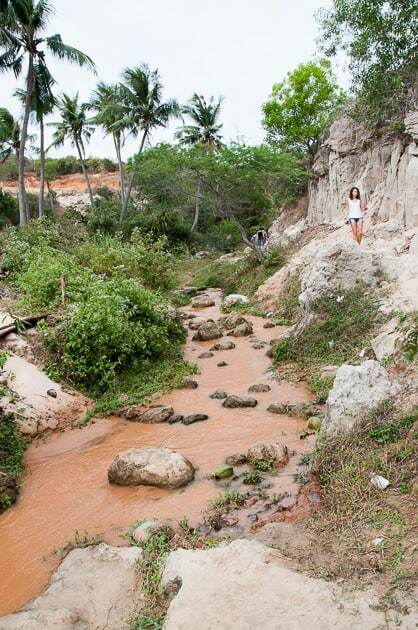 At the far end of Mui Ne beach was our last stop of the day; the fairy spring in Mui Ne. I was a little dubious about this and thought it would consist of a few metres of muddy stream and be a bit of a tourist trap. I was happily surprised. 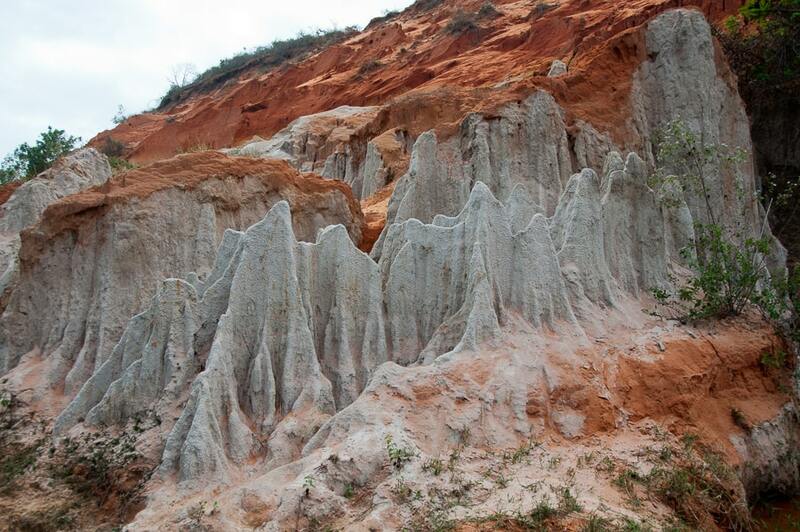 It was actually a really pretty area with over 500m of rippling stream which had carved its way through rust coloured dunes, limestone rock formations and lush bamboo groves. We slipped off our sandals and started wading through the cooling water as our toes sank into soft red sand. Almost immediately a local teenager attached himself to us and although our unofficial guide was mute he made sure we understood him perfectly and pointed us to all the best areas. He also led us up some pretty steep banks; getting up them was okay but coming down was trickier. I think he overestimated my abilities! You really don’t need a guide at the fairy spring but we didn’t have the heart to turn him away. There was no admission charge to get into the fairy stream and despite looking hard we didn’t see any fairies. Near to the fairy stream entrance is a place where fish sauce is made. Not one of the top things to do in Mui Ne but if you fancy filling your face with the smell of anchovies fermented in brine for eight months then dip your nose in. Mui Ne is fish sauce central and where most of Vietnam’s fish sauce is fermented and produced. You’ll smell it before you see it but despite its pong it does have the most delicious flavour and gives Vietnamese food its authentic taste. 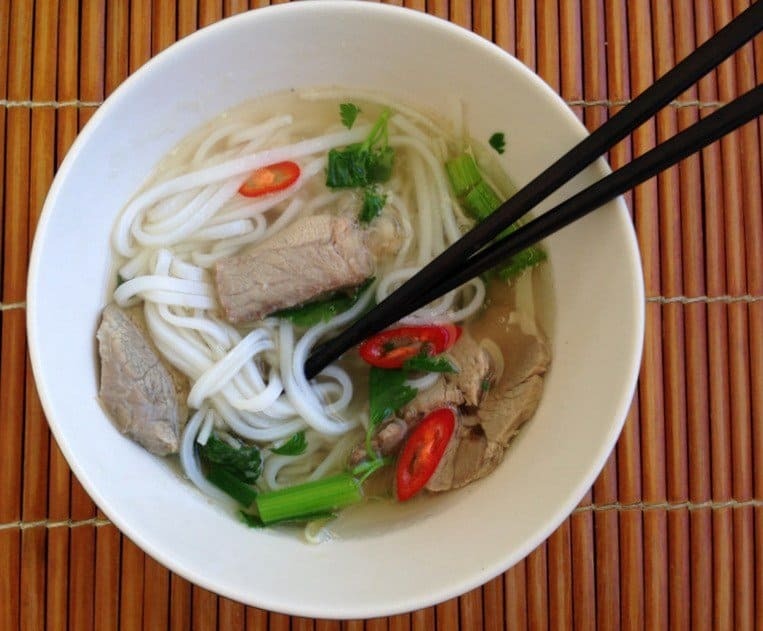 If you want to learn more about Vietnamese food, Mui Ne has its own street food festival three times a year usually taking place in January, April and July on the main street. 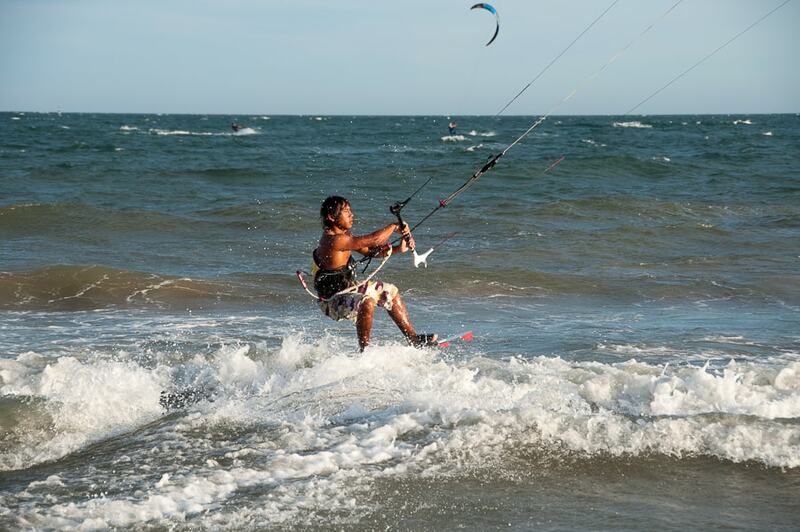 Kite-surfing is a big Mui Ne attraction. 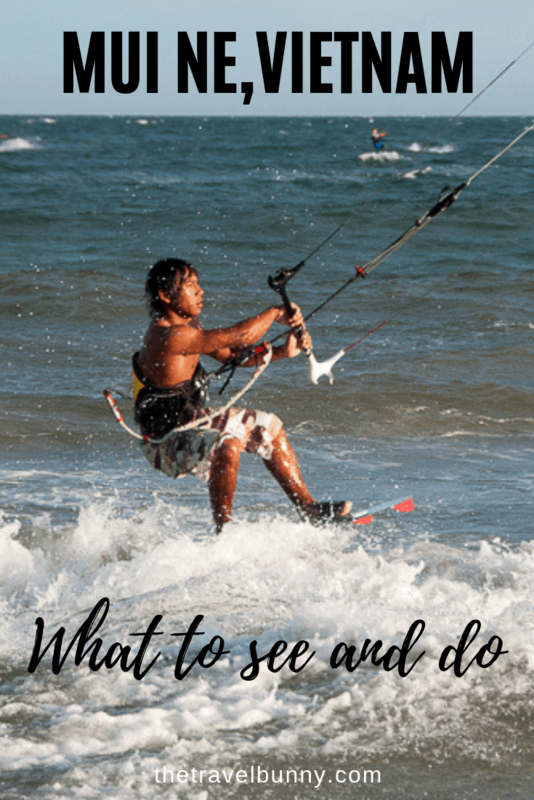 The area has good a breeze which is perfect for kitesurfing plus there are plenty of kite surfing schools along the beach. Some of the best sunsets I’ve seen were on the beach at Mui Ne. 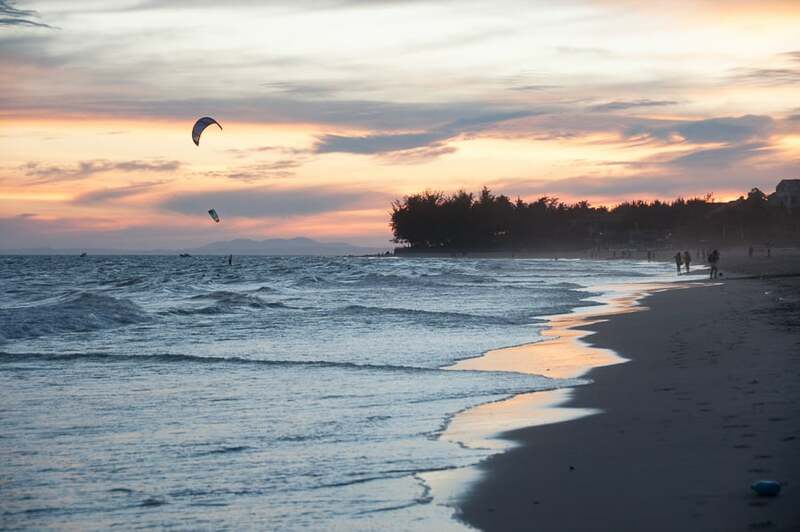 We’d take a walk each evening and have a Tiger Beer at a small bar about a kilometre away and watch the sun go down as the die-hard kite-surfers made the most of the waves before dusk. 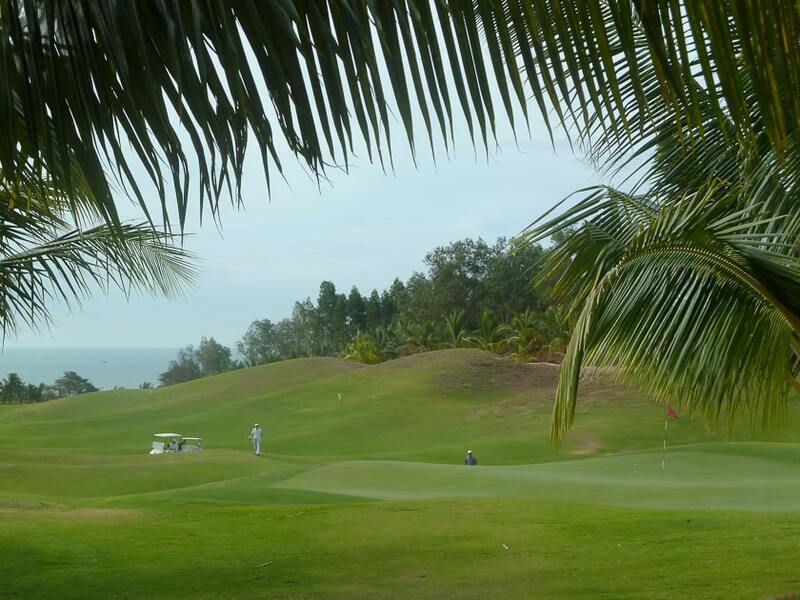 Mui Ne Sea Links championship golf course is just a few minutes from the town and it’s a fabulous course with some gorgeous views. We played 18 holes while we were there. Club hire is available as are golf carts which is advisable in the heat. We had a lot of fun with our two caddies and a really enjoyable afternoon on the course. There are other sights to visit nearby including The Reclining Budha and the Cable Car which are around 40km away. 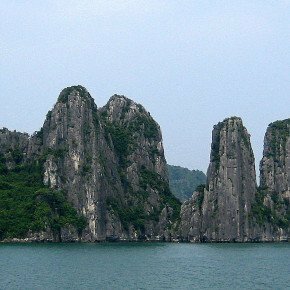 Want to read more about Vietnam? Check out these Vietnam based books for some inspiring holiday reading. The main drag is lined with cafes and restaurants, many of which back onto the beach. We loved Joe’s Cafe with its laid-back vibe and live music. We ate there a couple of times and usually ended up there for a drink before heading back to our hotel. El Latino is a fab little place serving good Mexican food. Jibe’s Beach Club and Sandals were both good. We also ate at some small local places which served delicious authentic food. These were near to our hotel which was at the opposite end of Mui Ne beach to the fishing village. Mui Ne is a big draw for Russian tourists so many of the restaurants serve Russian cuisine. We stayed at the quieter end of Mui Ne beach which was perfect for us and we liked the short stroll to the main strip each evening. 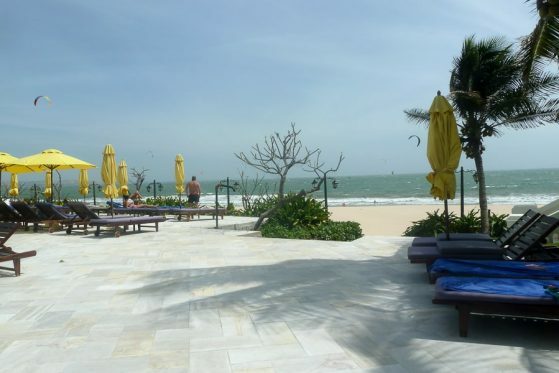 Our hotel, The Allezboo Beach Resort and Spa, Mui Ne adjoined the beach. The breakfasts were excellent with fabulous views from the restaurant. Evening dining was good too. The rooms were spacious and light set in beautiful gardens. The pool area was right next to the beach with hotel sun-beds and parasols on the beach itself. I’d stay there again. The train departs Saigon at 06:40 a.m. and arrives at Binh Thuan station around 3.5 hours later which is around 40km from Mui Ne so you’ll need to take a taxi for the final leg. More details here. In the main tourist area of District 1 in HCMC there are dozens of travel agencies where you can buy a bus ticket to Mui Ne. The journey will take around 6 hours with one food/comfort stop. To book your bus ticket on-line, in advance, go to Vietnam Bus Tickets – they offer online bus ticket bookings on most routes around Vietnam too. 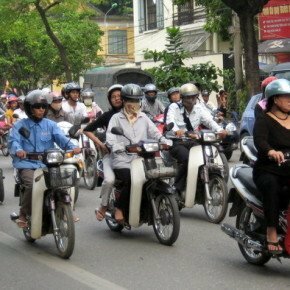 Buses leave HCMC at the following times: 7am, 7:30am, 8am, 1:30pm, 2:30pm, 3pm, 6pm and 7pm. This post contains affiliate links. By using affiliate links, we earn a small commission when you book a room, tour or buy a product, etc. without any extra cost to you. I don’t know if I like the dunes or the sunsets the most! I only travelled the very north of Vietnam and feel I have missed out on other beautiful sites! The white and red dunes are both wonderful. I was amazed by how big it was. They’re the last thing you expect to find in Vietnam too! Mui Ne is amazing! Love the bright colors of the sand dunes there! 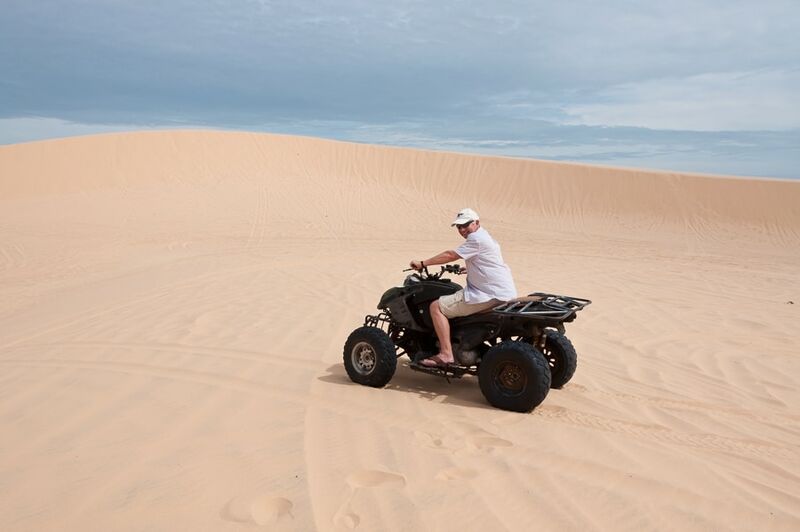 The sand dunes are incredible – loved the white ones which looked like snow! Hi! 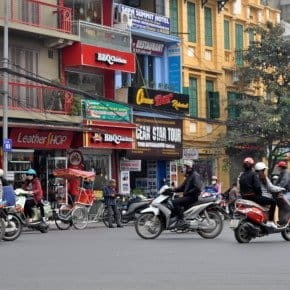 I randomly found this post on Pinterest as I was researching my upcoming trip to Vietnam. What a great post….very informative and nice pics, thanks! Hi and thanks for visiting. I’ve been to Vietnam a few times now so if you’ve got any questions drop me a line. Have a fab time in Vietnam. 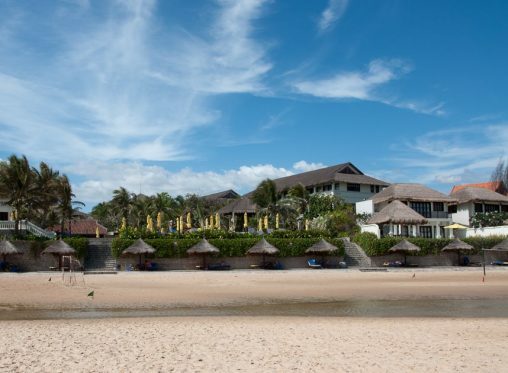 which hotel did u stay in Mui Ne? Can i cover those place you shared? Thanks B – it’s most definitely a country of contrasts. The fairy stream looks very pretty, what are the animals on the side? I think they’re just cows out for a stroll! Suzanne, what an amazing adventure … I would love to walk barefoot along the Fairy Stream too. Amazing post – it was like spending the day there with you and the images is fantastic – as always. My big boss in UK – he went to Vietnam about 15 years ago. He become so ill, never found out what was so wrong with him. Ended up on hospital. He was raving about the the people, the food and the country too. 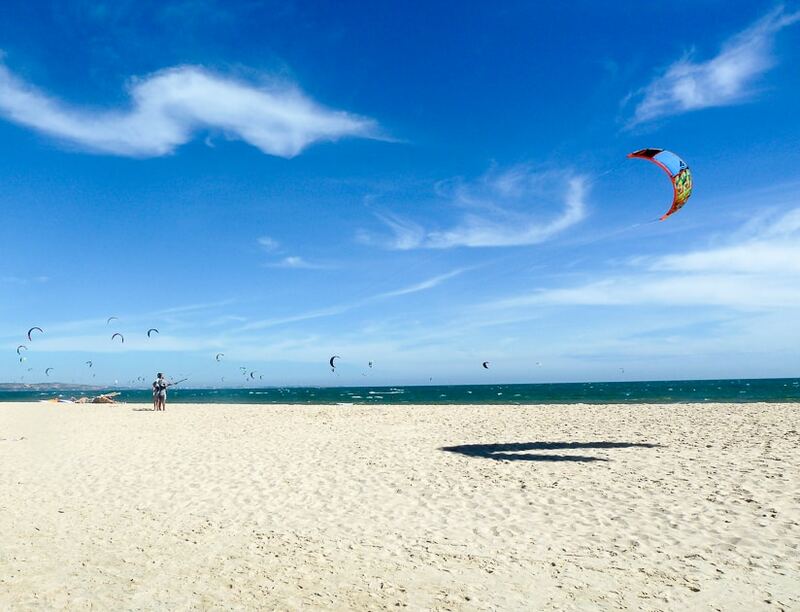 Vietnam is such a vibrant country and it was fantastic to visit an area which is new to us – great weather too! Sounds like a great day out, Suze! Those thighs must be pretty strong after all that duning about 🙂 Love that first shot!